Boone Place is a charming boutique property that nestles in the heart of Bangkok with its outstanding contemporary design. It is located in the residential area surrounded by popular shopping spots and world-renowned malls including Bo Bae Market, Platinum Fashion Mall, Pantip Plaza IT Mall, Siam Paragon, Siam Square and Central World. 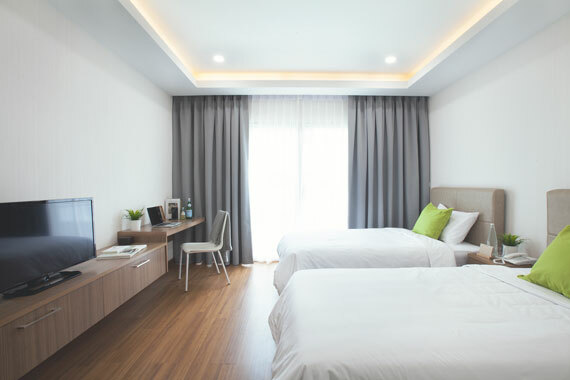 It takes only 10-minute away from the National Stadium and Ratchathewi BTS Skytrain Station and Hua Lamphong MRT Subway Station which is also Hua Lamphong Railway Station. The word ‘Boone’ is a Thai word pronunciation, which means ‘Abundance’. 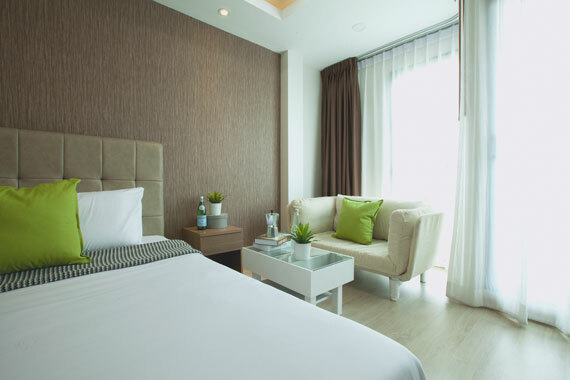 Our place is passionately designed to ensure your happiness while on the short or long-term stay in Bangkok through the philosophy of ‘The Serenity of Living’ to make guests a perfect journey. In Thai culture, the abundant living refers to life in its abounding fullness of joy and strength for mind, body, and soul. Besides, It can be referred to as making merit which can be accumulated as a result of good deeds, acts or thoughts and which carries over throughout the life. 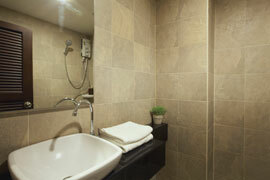 * Please note that by Thai law, smoking is not permitted in the room, toilets, balcony, or public areas of the hotel. There are designated smoking areas in front of the hotel. This room is decorated in a contemporary style, comes with wooden flooring and furnishings, and have plenty of natural light, creating a comfortable atmosphere to relax in. 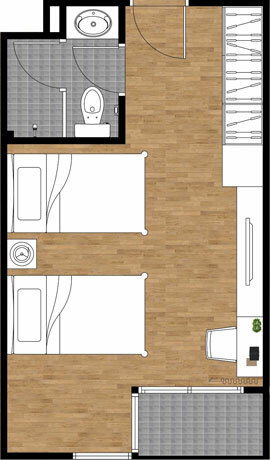 You'll enjoy king-sized bed, spacious air-conditioned, 32" LCD flat screen TV, refrigerator, working desk & chair. 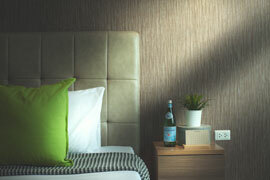 Superior room is designed for simplicity, comfortable yet practical. 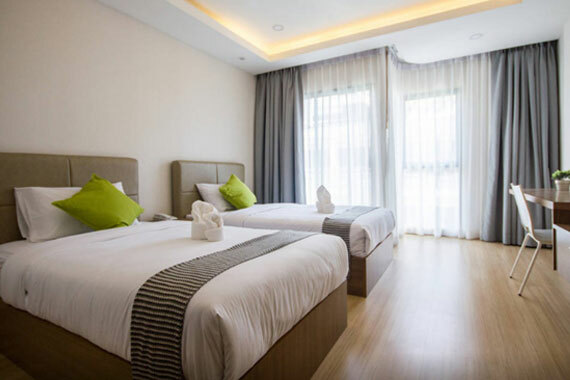 The room is furnished with decorative wood flooring and contemporary furnishing style that creates a general feeling of easiness for a relaxing stay. 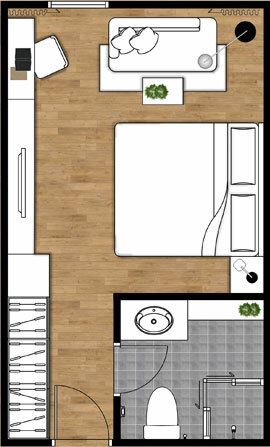 You'll enjoy king-sized bed, spacious air-conditioned, 32" LCD flat screen TV, refrigerator, working desk & chair. Embrace chic simplicity in the Deluxe Twin room, which was conceived according to an Asian concept of minimalist with a touch of contemporary design. 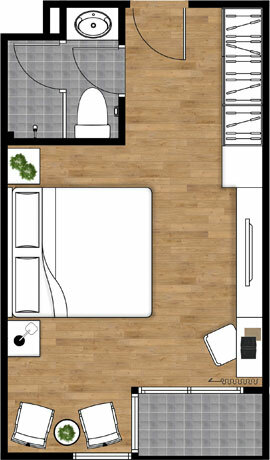 This modern room features 2 single beds, spacious air-conditioned, 32" LCD flat screen TV, refrigerator, working desk & chair. This comfortable room is just perfect for a rest after a long day.